Attention displaced bookworms! Our book review columnist, Beth Green, is back. 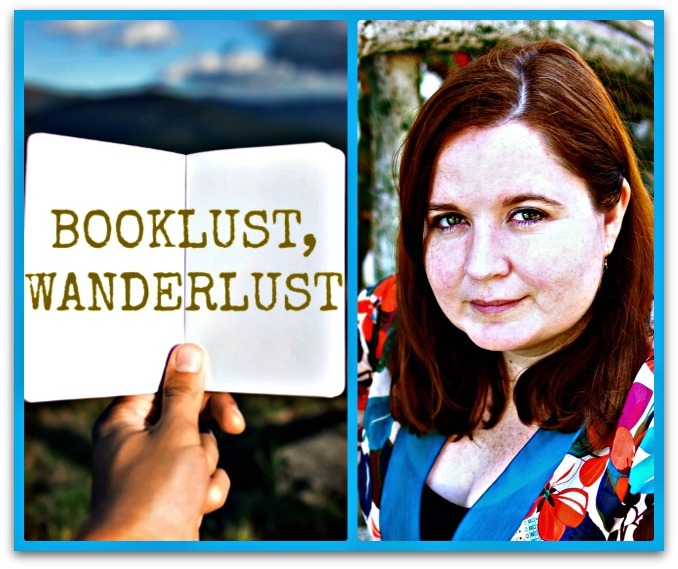 An American who lives in Prague, Beth mixes booklust with wanderlust in equal measures, which gives her just the right background for reviewing book releases on behalf of international creatives. Hello again, Displaced Nationers! Since I last wrote, summer has slipped by us. 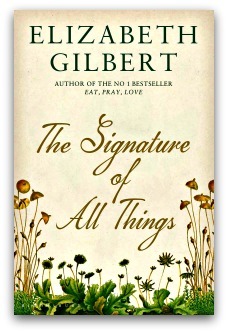 The gradual wicking away of days and weeks puts me in mind of the protagonist of the book I have chosen to review this month: The Signature of All Things, a scientific and historical novel by Elizabeth Gilbert (she of Eat, Pray, Love fame). 1) Human Time, which goes by as quickly and flittingly as a summer’s day. 2) Geological Time, in which the Earth moves. 3) Moss Time, which reflects the events of both Human and Geological time but moves at its own pace, expanding rapidly. 1) She is a Third Culture Kid and a polyglot. As the daughter of English and Dutch botanists who eloped to start an empire on stolen seeds in the New World, Alma is a delightful fictional example of a Third Culture Kid. She has an unconventional upbringing at a time when most young ladies of her class were strictly bound by convention. She learned that walking carefully in the mud to save one’s boots or the hems of one’s skirts never rewarded one’s search. She was never scolded for returning home with muddied boots and hems. [The nurse] always spoke Dutch to Alma, and Dutch, to Alma’s ears would forever be the language of comfort and bank vaults and salted ham and safety. Alma spends her childhood wandering in the breathtaking gardens and fields of her father’s estate, working on French and Latin, and being regaled with tales of far-flung expeditions at her parents’ dinner parties. She grows into a young woman with a wide breadth of knowledge but a constricted life experience. 2) Alma chooses to expand her horizons through international travel, rather like Gilbert herself. Many novelists would slow down the narrative at this point, bring in a love interest (and a rival or two), and make the story all about the broadening of Alma’s horizons through a courtship followed by marriage. But Gilbert, who first made herself known to the world through the memoir of her solo travels to Italy (to eat), India (to pray) and Bali (where she found love), isn’t the right author for such conventions. True, Alma’s youth, measured in Human Time, speeds by, but in the world Gilbert creates, one need not be young to have adventures. Indeed, Alma’s true adventures begin only after she believes she’s past her prime, when she enters Moss Time. Moss grows where nothing else can grow. It grows on bricks. It grows on tree bark and roofing slate. It grows in the Arctic Circle and in the balmiest tropics; it also grows on the fur of sloths, on the backs of snails, on decaying human bones. After Alma’s marriage fails, she sets sail for Tahiti. As she takes off, so does the book—at least for me: Alma’s voyage across the Atlantic and Pacific was one of my favorite parts of the novel. Experiencing the long, slow sea voyage through the eyes of someone educated but who, at age 48, had barely left the confines of the family estate made for a compelling read. Alma offered payment in American coins, but the man attempted to make change for her from a handful of dirty Spanish piastres and Bolivian pesos. Alma could not figure out how he was possibly calculating his currency exchange, until she realized hew as trading in his dull old coins for her shiny new ones. 3) Alma’s insatiable curiosity is the driving force behind her travels. It is tempting to see Alma as an extension of Gilbert: abandoning a marriage to travel recalls Gilbert’s break-out memoir Eat, Pray, Love. But in that book, along with its sequel Committed: A Love Story, Gilbert’s primary concern is with her ongoing personal evolution as writer, person, friend and romantic partner. In Signature, by contrast, Gilbert has created a character who as a young girl has already surpassed society’s expectations of what she can become. Alma is an intellectual whiz—fluent in languages, adept at math and strategy, precise in science and research—and a sensitive, caring friend. She’s strong. She’s healthy. But most of all, she’s curious—something I think she has in common with those of us who’ve chosen to live in other cultures. But what about the cankerworm of curiosity that lived within Alma’s belly? What about its desire to feed daily upon the novel, the extraordinary, the true? Allow me to tell you something about myself, for it might help you to speak more freely. Implanted in my very disposition—though I do not always consider it either a virtue or a blessing—is a desire to understand the nature of things. Foster your curiosity even more than your passion. To sum up: The Signature of All Things is not always a page-turner and Alma is not always a likable character, but the book held my attention to the end, in large part because I wanted to find out what happened to Alma. Gilbert’s writing, too, is impressive. Certain scenes in the book—the docks and a moss cave in Tahiti, the Spartan kitchen Alma’s abolitionist sister keeps, the crude sea tales of Alma’s father—are portrayed with such cinematic clarity I will never forget them. Thanks, Beth! Until I read this review, I hadn’t realized that Elizabeth Gilbert, a member of our Displaced Hall of Fame for her travel memoir, had moved on to fiction. Readers, are you familiar with Signature and Alma Whittaker? If so, were you just as smitten as Beth was? While an expat in Japan, I mastered the ritual of tossing coins into the offering box, or saisenbako, at the Shinto shrine or Buddhist temple while clapping twice (to attract divine attention) and then making a short prayer. In the West, of course, we toss coins into fountains and make a wish, but I’d never been one for doing that. 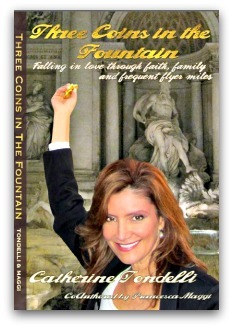 I might start trying it, though, now I’ve read Catherine Tondelli’s memoir, Three Coins in the Fountain, which recounts the luck she had in finding a mate the moment she tossed three coins into the Trevi fountain in the Città Eterna. Sounds like a pitch for a Hollywood film, doesn’t it? Except, wait a minute, that film has already been done (in the 1950s)! And it’s real life we are talking about here, not the movies. She will answer some questions about her memoir as well as her writing process (see below). She will GIVE AWAY TWO COPIES (hard copy or Kindle) to the two readers who toss in the best comment below. Before we start, I should mention that Tondelli’s book has been likened to another book recounting travels in the wake of divorce: Eat, Pray, Love, by Elizabeth Gilbert. But for me, a half-Italian American, Tondelli’s more restricted itinerary makes a a lot more sense. Who needs India and Bali when you can easily get the whole package—great food, a renewed faith in relationships and family, and love—in Bella Italia? Welcome, Catherine. I read your book not long after I’d finished Imperfect Pairings, by Jackie Townsend, which we featured in this space this past November. But that was an autobiographical novel based on Jackie’s marriage to an Italian man. So here’s my question: did you ever consider telling your story as fiction, or perhaps using it to develop a film script for a romantic comedy? I originally thought about writing it as a novel, but my story was so unique and it gave so much hope to women who have given up all hope of ever finding the man of their dreams after 40 years old. Most people would never believe that stories like this really do happen and that true love will find you as easily as tossing some coins in a fountain. I also felt that many people could relate to my crazy stories of growing up in a large family. In the 1960s it was normal to have families of seven or more children; but, with the exception of Cheaper by the Dozen, there is very little written about large families. You have a lot of crazy stories when you grow up with ten siblings! Yes, I noticed in the press release for the book that you grew up in Chicago as one of 11 kids who were left behind by a deadbeat, jazz musician dad. Can you tell us a little more about your relationship with the man who bequeathed you the surname “Tondelli”? After all, he features in the book quite a bit as well. I had a very challenging relationship with my father and harbored resentment towards him for many years. I was only 12 years old when he walked out on my mother. It had a huge impact on the relationships I had and the men I chose. A daughter’s first bonding with any man is with her father: he is her first boyfriend, role model for the men she chooses. We often repeat what we know rather than what we want: we need “familiar,” even if it’s unhealthy. I kept choosing unsuitable men until fate stepped in and finally tossed me a “get a good man” coin to throw in the Trevi fountain. Did you and your father ever reconcile? I didn’t speak to him for twenty years. We finally reunited when I was attending a conference in Las Vegas and he was a musician playing on the strip. I called him and we had dinner together. We hugged and kissed at the end of the evening: it was a huge healing moment in my life. I was never as close to him as I was to my mother but we had a good relationship up until the day he passed away one year ago. Writing about him also helped me to heal. And that’s what happened: he and I fell in love, I returned, and we got married. Jackie Townsend entitled her book “Imperfect Pairings” because she thinks Americans have an idyllic view of cross-cultural marriage with Europeans, thinking it sounds very romantic—whereas the reality tends to be culture clash after culture clash. You seem to believe in the romance while also acknowledging there were hurdles along the way. After you got over assuming Fausto was gay, you suspected you might be just one in a long line of fountain pick-ups. And even after he at last won your trust, you and he had to struggle to get used to each other’s habits. He did not take well at first to sleeping with your beloved Siamese cats, for instance. Three Coins is not your stereotypical girl-on-holiday-meets-man-of-her-dreams-and-lives-happily-ever-after. Yes, we did meet on my trip to Italy, but falling in love and moving to Italy was the last thing I’d expected. I came to Italy only after I had worked for three years in London and only when finding a good job in Rome. And when he proposed, I called my sister. I like that you put a map at the beginning of the book, showing all the destinations you and Fausto traveled to together, before you decided to live in the same place. I presume Italy and Italian culture were an adjustment? Even though I grew up in an Italian American household, the cultural learning curve for me was huge. My mother descends from Irish stock, and Fausto couldn’t believe his ears when I told him my Irish grandmother had put money aside in her will to host a luncheon following her funeral for all her friends and family. When his father passed away, we went down to the morgue to say our last goodbye and then off to the church and finally the cemetery, all within two hours. No lunch, no funeral home, no photographs—it was all too fast, no time to mourn to grieve with family or friends. A real Mork & Mindy moment for me. Was that your most displaced moment: when you thought, what’s a nice girl like me doing with an Italian? That’s one, and another would be the Christmas after we moved into our new palazzo in Rome. I went to our five neighbors in the building and brought them Christmas cookies I made and a bottle of Spumante. Fausto looked at me with all my plates of cookies and bottles of Asti in my hand and said: “My love, what are you doing? ?” I went on to explain that we always bring something over to the next door neighbors in America for Christmas. He just stood there and smiled and said “We don’t do that in Italy.” I said, well, we’re going to start now! Can you also pinpoint your least displaced moment, the first time you realized you felt much more comfortable with him and in Italy than you do with a man from your own culture in the U.S.? I think it was when there was a Lazio (Rome) football game on TV and instead he took me to see a classical music concert at the Auditorium. He wasn’t telling me all night how much he was giving up for me…he really enjoyed the concert! I am a big baseball fan, not soccer. I was thrilled. Moving on to the writing of the book: What was the most difficult part of the writing process? Being constantly turned down by traditional publishers. Also, people I knew who already had books published weren’t very encouraging. Luckily, I didn’t let them get me down. After shopping it around for about six months, I decided to self publish. I realized with all my marketing and PR experience I could do a better job then they could in promoting my book in getting it to the right audience. I see that you’ve listed Francesca Maggi as a co-author. How did that relationship work? I was lucky as she was an editor and also an author and a friend. She had just published Burnt by the Tuscan Sun, and I asked for her help on the editing process. I gave her my manuscript and she polished and refined it pointing out my weaknesses and suggested options to strengthen those areas. She was instrumental in getting the flow right and helped with the technical elements. She was a natural choice for me as we share a common love of Italy and America, and she knew my husband well. Can you offer any advice for others who are writing memoirs and hoping to publish them? The difference between people who believe they have books inside of them and those who actually write books is sheer cussed persistence—the ability to make yourself work at your craft, every day—the belief, even in the face of obstacles, that you’ve got something worth saying. I really thought the target would be women between 20 and 60 (I do get a lot of emails from women like myself, and am happy they can relate), but I have been amazed at how many men also have written to me to say how much they enjoyed reading it. Obviously anyone who loves Italy, old-time romance, or stories of expat life in Europe would find it entertaining. What do men like about the book? I’ve had some nice comments from men who said that they were taking notes on Fausto’s techniques… Many of them also grew up in a large family. Also, Fausto was still a bachelor at 50. His story, too, can be inspiring! In your book you question whether Americans have their values in the right place given that we take so little vacation compared to people in Europe. Have you continued to feel this way about the U.S. since marrying Fausto and settling down in Rome? Two years ago I decided to live like the Romans do and started working for myself so I could spend more time in the US visiting family and friends and also have more time to enjoy La Dolce Vita. Do you think you could come back to live in the United States? What would be the adjustments? After living in Italy for more than 12 years it would be very difficult for me to return to live in the US. Fausto and I have discussed moving back to California as he also acts in film and there are many more opportunities, but then we thought: how can we go and live in a city where they close the restaurants at ten o’clock? It would be very difficult to replace our lifestyle in the US. That said, I would love to transport the US postal office here as Italy still doesn’t have postal stamp machines. I bring my book and my computer now when I go to the post office as I know I’ll be spending the day there. 1. Last truly great book you read: Blood from a Stone, by Donna Leone, part of her crime series set in Venice. 2. Favorite literary genre: Biographies or autobiographies: real-life stories are always so much more interesting than anything you could make up. That said, I also enjoy reading fiction. 3. Reading habits on a plane: I usually have long flights as my mother lives in San Diego and I fly from Rome three or four times per year to see her couple that with all the travel I do for my work (am working on events in Dubai, Nairobi, Singapore and London at the moment). I always have three or four books in my library at home that I wait eagerly to put in my carry-on bag for my long, hopefully peaceful journey. I am old fashioned and still like to feel the paper when i read a book. 4. The one book you’d require President Obama to read, and why: Jimmy Carter’s book Our Endangered Values: America’s Moral Crisis. I believe that Jimmy Carter has been one of our great leaders yet he is so humble. He was my 95-year-old grandmother’s favorite president. He tells us that for example the USA gives far less foreign aid to developing countries than most people imagine. And, much of this aid goes to certain select countries whose loyalty we are trying to buy rather than because we want to help the poor. The book opened up my eyes to understand how we are perceived internationally. It will give Obama a good reminder that values and morals are more important than being powerful. 6. Favorite heroine: I have many but at the moment it is Malala, the girl who stood up for education and was shot by the Taliban and survived. 7. The writer, alive or dead, you’d most like to meet: Beatrix Potter. I loved her books as a child, and she was also one of the early pioneer woman who broke the male barrier in publishing. 8. Your reading habits: I like to read in bed with my two Siamese cats (Stella and Luisa) on my lap. 9. The book you’d most like to see made as a film: Three Coins in the Fountain, of course! 10. The book you plan to read next: E-Squared: Nine Do-It-Yourself Energy Experiments That Prove Your Thoughts Create Your Reality, by Pam Grout. She provides experiments that prove our thoughts really do create our reality. Thanks so much, Catherine. Readers, your turn! Any COMMENTS or QUESTIONS for Catherine? What would YOU wish for with your three coins, having heard her story? Come on, Valentine’s Day is coming! Surely, someone out there aspires to be the next heart wearing the valentine of the Frank Sinatra song? STAY TUNED for tomorrow’s TCK TALENT column, by Lisa Liang.